It is day one of Kerala v Services at the Conor Vayal Stadium in Tellicherry. An hour and a half into the morning session, when Kerala lose their first wicket, Sanju Samson straps on his helmet, steps over the boundary rope, and turns to glance at the sky. Apart from the pavilion and a small office building at the opposite end, this is an open ground ringed by coconut trees. It is picturesque in a small-town way and perhaps its most distinguishing feature is its drinks trolley. Kerala's cricketing accomplishments are modest, but its cricket grounds have the most distinctive drinks trolleys in the country. Up in Wayanad, the ground staff wheel out a life-size model elephant at every drinks break. Here in Tellicherry it is a fishing boat. The last time I watched Sanju bat up close was in an entirely different setting. It was in April last year, when he made a 34-ball 52 for Rajasthan Royals against Kings XI Punjab in the IPL. He caressed the third ball he faced to the cover boundary and sent his sixth soaring over the tent-like roofs at the Sharjah Cricket Stadium. The crowd, a sizeable chunk of which represented the region's expat Malayali population, went mad. Here in Tellicherry there is no crowd to speak of. I am the only journalist in the makeshift press enclosure in the upper deck of the pavilion; a couple of others will arrive later in the day. Kerala v Services is an unimportant match in the larger scheme of things. Both teams sit in the middle of the table in Group C, the lower tier of the Ranji Trophy, and have close to no chance of promotion. But it is an important match for Sanju, a chance to extricate himself from his first prolonged slump. Since his return in September from England, where he was part of India's ODI and T20 squads, Sanju has made over 50 in only one out of 16 innings for India A, Kerala and South Zone. The first six matches of his Ranji Trophy season have been a story of promising starts: 24, 17, 5, 22, 89, 30, 19 and 41. With two games to go, the sequence of scores could come to mean anything. Add 113 and he will average 40. Anything less than 23 and his average will dip below 30. Growing up playing with friends in the Police residential colony in the North Delhi neighbourhood of GTB Nagar, Sanju and his older brother Saly couldn't get away with low scores. If they were out early, their father, Viswanath Samson, who organised these tennis-ball matches, would tell them to go home. "The gate to our complex was some 100, 200 metres away, and Sanju would walk away slowly, stop midway, and turn," Viswanath says. "I'd say, 'Bol diya na? Ja [I told you, no? Go].' Then he would stand by the gate, this small boy, seven or eight years old, standing there, far away, looking at me." Viswanath chuckles at the memory, but his word was final. Sanju had to go home. A centre forward for the Delhi Police for 22 years, Viswanath looks every inch the retired footballer in his cargo shorts and polo-neck T-shirt. He is compactly built, with a closely trimmed moustache and the beginnings of a paunch. Once, when Sanju was bowled, his father demanded an explanation. "What to do, I didn't want to go home," Sanju says. "So I told my father the ball hit a hole and turned." The next day, the children of the colony formed a barricade around their patch of road, waving vehicles away from it. 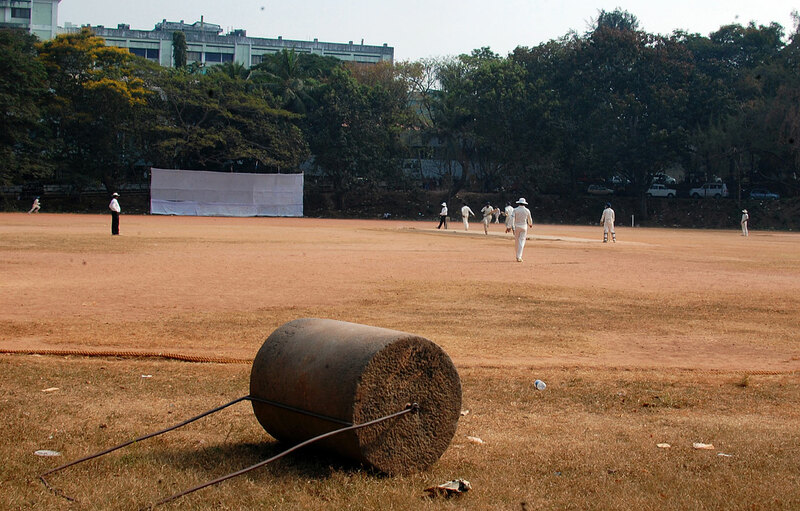 Viswanath had arranged to cement their pitch. Apart from the time he devoted to football training, Viswanath's days revolved around his sons' cricket. He would bring the children of the neighbourhood together, draw lots and make them bat until each was dismissed. He would take Saly and Sanju to the practice sessions of the Delhi Police cricket team, among whom Viswanath had a number of friends. "I would tell them to bowl to Sanju and Saly, however fast you want. They were 25-year-old bowlers, and the boys would play them comfortably, even if they bowled from 15 yards." Both brothers were soon playing for their school and pushing for selection in Delhi's age-group teams. Still, Viswanath felt their talent might hit a wall. "I was a small man," he says. "Big-big people play cricket in Delhi - businessmen, IAS [Indian Administrative Service], IPS [Indian Police Service], people in politics." So, around a year after his retirement from football, Viswanath retired from his job and decided to move back to Thiruvananthapuram, his home town. It was a counter-intuitive move, to go from Delhi, one of Indian cricket's nerve centres, to Kerala, a state with a marginal cricketing presence and a team that has long been one of the Ranji Trophy's punching bags. From their debut in 1957-58 to 2001-02, Kerala reached the second round only twice. In the last 13 seasons, when the tournament has been split into divisions, they have been in the top tier just once. Only two Kerala players, Tinu Yohannan and Sreesanth, had played for India when the Samsons moved back in 2006. Most batsmen in India grow up playing a see-ball-hit-ball brand of cricket on the streets, and learn to play with a straight bat when they come into contact with organised coaching. Sanju followed a slightly different trajectory. "In Delhi, I was more of a 'V' player," he says. "I didn't want to get out, or my father would send me home. Only after I came to Trivandrum [Thiruvananthapuram] I started playing all these shots." He demonstrates with his hands a leg-side whip - presumably from off stump - and a steer behind point. 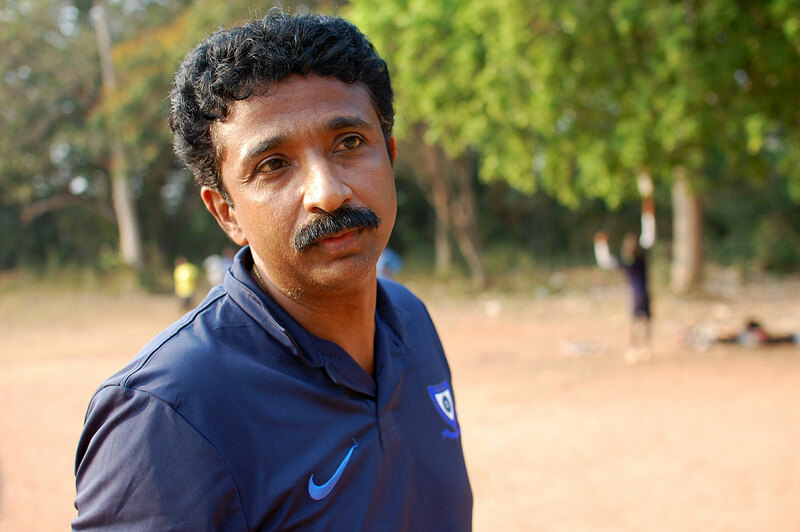 Sanju found the freedom to play those shots when he arrived at the Thiruvananthapuram Medical College ground as an 11-year-old, and came under the wing of Biju George, who had been coaching there since 2000. Biju is 49 but he is still slim and wiry, with no hint of grey in his hair or in his thick moustache. The only sign of all the years he has spent on the coaching circuit - among other roles, he has served as a talent scout for Kolkata Knight Riders, fielding coach for India Under-19, and head coach of the Kuwait national team - is the relative size of his forearms. He lines them up against each other and you realise the right forearm is significantly bigger. Right from the start, Biju made Sanju bat against the best bowlers in the academy, including those who had already played for Kerala. "If you're good enough," Biju says, "you're old enough." What impressed Biju the most was Sanju's willingness to try anything to improve his game. "Before the Champions League [in 2013], he had to play Mumbai Indians and Mitchell Johnson," says Biju. "So he was thinking, 'What to do, how to get that sort of speed?' Obviously nobody here will be that quick. We had the concrete [pitch], we put a coir matting on top of it, stretched it out, and poured water. Then we put these flex-board sheets, plastic sheets, on top of that. And guys were bowling from 18 yards with the hard synthetic ball. "It was flying. He was getting hit, then he was playing. When he went there, he could handle Mitchell Johnson with absolute ease. So you try anything with him, he is ready. Not like, 'Sir, I'll get hit, IPL is coming up.'" Raiphi Gomez has a mediocre first-class record as a seam-bowling allrounder but he has always had the potential to play outlandishly explosive innings. In 2010 he smashed an unbeaten 88 off 29 balls for Kerala in a 50-over match against Hyderabad. He hit five sixes and a four in the final over of the innings. Among the senior players who took him under their wing when he first arrived at Biju's academy, Sanju is closest to Gomez. He even began supporting Barcelona because Gomez is a fan. "Before each and every match I call him, discuss the conditions, how I can prepare," Sanju says. "He really knows my character very clearly, he knows my game really clearly, he is like my big brother." Sanju picks out a six he hit against Knight Riders' left-arm spinner Iqbal Abdulla in 2013. "Raiphi bhai said Kolkata has a pretty slow wicket, so if you can wait for him [Abdulla] and aim over midwicket, you can hit him," Sanju says. "So I hit a six there." Watch the shot now. On air, Harsha Bhogle's first reaction is a chuckle that gives way to a fully articulated "Ha ha!" Then he picks up the key quality of the shot. "He just sat on the back foot, waited for the ball, and waited and waited... he's deposited it waaaay over midwicket." Sanju struck 22 sixes in 23 IPL innings - before the start of this edition - and while that is a pretty good rate of six-hitting, it is the quality of his shots that makes you sit up. There is a video containing all 17 he hit in the 2014 season, and it makes for an exhilarating watch. Here is Sanju, 19, flat-batting L Balaji over long-off and launching Murali Kartik inside-out over extra cover. Ben Hilfenhaus bowls a slower ball and Sanju clears his front leg a fraction and smacks him over wide long-on. Dale Steyn comes steaming in and Sanju simply extends his arms through a straight drive, left elbow high, and lifts the ball back over his head. It travels 81 metres. Apart from the shot against Kartik, where he has skated smoothly away from his stumps to create room, Sanju has made no premeditated movements. Always his head is still. A chest-high short ball from Siddarth Kaul ends up in the stands behind long-off, and the broadcaster cuts to a square-on replay. From that angle, you get the best view of Sanju's backlift, with his arms in a classical diamond shape, his wrists cocked, his head still, and his weight evenly distributed but ready to shift onto the front foot. It is an utterly orthodox position, and he ends up playing a shot that can only be described as a down-the-line topspin forehand. It is a ridiculous shot, and he has made it look simple - a quality that has excited seasoned watchers of the game. Writing on ESPNcricinfo after the 2013 IPL season, Bhogle picked Sanju as one of his three players for the future. A year later, in an article for starsports.com, he wrote about the first shot he saw Sanju play, a cover drive in his first IPL season in 2013, and compared the effect it had on him to shots he watched Sachin Tendulkar and Sourav Ganguly play before their India debuts. That cover drive came in a run chase against Pune Warriors in Sanju's fourth IPL match. He had walked in with Royals needing 29 from 17. The shot came off the first ball he faced, off the back foot, off Wayne Parnell. He got on top of the bounce off a fairly decent delivery - fourth stump, back of a length - and hit it between mid-off and extra cover. Sanju made 10 off six. Royals won with a ball to spare. In Tellicherry, against Services, Sanju cannot be contained, and by the time he has got to double figures he has already hit two fours, a whip wide of mid-on, against an off-stump ball, and a square drive. At lunch he is 32 not out. To the second ball after resumption he jumps out of his crease to hit left-arm spinner Saurabh Kumar over the top. He doesn't quite reach the pitch and skews the ball high, but the cover fielder can't latch on. If the catch had been taken, it would have been another wasted start. Reprieved, Sanju cashes in. He brings up his half-century with an inside-out six off Kumar. The fielders scatter but he keeps finding the boundary. The post-tea session begins with only a wide slip within conversational range of the wicketkeeper, and he finds the gap between them with an impudent late dab. Sanju brings up his fifth first-class century with a slightly miscued boundary over mid-on and releases his pent-up frustration with a punch and a roar. "I think I scored my hundred after one and a half years," he later says. "So I came to realise how true people are to me. I came to realise who all are my good friends, and how I should be living my life, and what all I should be doing outside my cricket which will affect my game inside. "If you score runs, everyone says whatever I do is the best thing, and when I don't do well, they say things like, 'You are not focused enough, you are not giving enough time as you did before.' Now I know that it is all within myself." On the second morning Sanju scores 40 of Kerala's first 50 runs, and soon brings up his double-hundred, off 254 balls. Still 20, Sanju is the only Kerala batsman to make two first-class double-centuries. He also has five hundreds; two more will bring him level with the Kerala record. Sanju's first-class average of 44.70 isn't flash when compared to Cheteshwar Pujara, Ajinkya Rahane or Rohit Sharma, who all average 60-plus in domestic first-class games. But here is some context: 16 batsmen have scored more runs for Kerala than Sanju; not one of them has an average over 40. "I've been very lucky to play for India A and Rajasthan Royals, where I get a lot of competition," Sanju says when asked about playing against relatively weaker teams in the lower division. "In the Ranji Trophy, playing for a champion team may not bring the best out of you, but playing for a team like Kerala, where we want to get promoted, brings out the best in me." 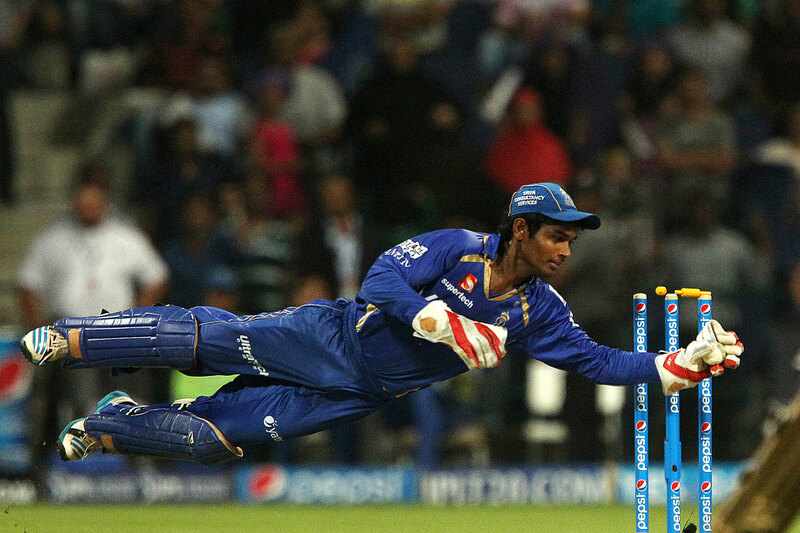 It is tempting to imagine where Sanju might be if not for the IPL. Especially when you see the swimming pool and the cricket nets in the backyard of his new house in Vizhinjam, a harbourside neighbourhood of Thiruvananthapuram. The architecture is of the traditional Kerala style: sloping tiled roofs and a pillared front courtyard with wicker chairs to read the newspaper in. From the outside it comes across as strangely understated - a pale blue house in a state that likes its yellows and pinks. "It was my father's dream for more than ten years," Sanju says. "He always used to say, 'We should have a house with cricket nets for you and Saly.'" Sanju is driving me from Vizhinjam to my hotel in central Thiruvananthapuram, a distance of about 14km. The drive from Vizhinjam to the Thiruvananthapuram Medical College is longer, about 22km, and not too long ago, Sanju and Saly would cover this distance riding pillion on their father's motorcycle. Sometimes they would change buses to get there. In the pre-IPL days, Sanju may have taken longer to acquire his new house and SUV. Or find a place next to Sachin Tendulkar and Cristiano Ronaldo in the row of life-size posters displayed outside a sporting goods shop opposite the Secretariat building in the heart of Thiruvananthapuram. He is a local boy, of course, but if Sanju were simply an excellent young first-class cricketer, the shop owner would have struggled to find a photograph to pin outside. In fact, until the day he completed his double-century in Tellicherry, ESPNcricinfo didn't have a single action photo of Sanju in whites. They were all of him in the blues of India A, India U-19 and Royals. Sanju likes wearing white, though. I chat with him on three separate occasions over two weeks and each time he wears a white t-shirt. Each seems to be designed to deflect attention away from him. Biju, also a Sports Authority of India coach, says he has never seen Sanju come to the Medical College nets in his IPL or India gear. "He is always wearing some old t-shirt, and usually chappals. He comes here, changes into his shoes and goes into the nets. When the session is over, when I am doing catching or something with the bigger boys, he is the guy who takes care of the younger kids. He does throwdowns for them." Last year, at the end of a day's play during another Ranji Trophy match in Tellicherry, Sanju saw a group of teenagers playing a tennis-ball match on a patch of grass outside the ground, and joined them. The Kerala team bus was ready to leave but Sanju was just getting started. It was only when the Kerala coach, Sujith Somasundar, yelled out that Sanju hopped into the team bus. Asked if it wasn't an unusual thing for an IPL star to do, Sanju says he would have it no other way. "The way people look at me has changed, yeah. They have started recognising me wherever I go. They expect more of me. I really respect that they started giving me more love based on whatever I have done in the IPL and Ranji Trophy. But I never think that I have become a hero of Kerala cricket. I have not changed in the last six or seven years. I am the same Sanju." Biju says the desire to shun the limelight is the biggest difference between Sanju and Kerala's last big cricketing hope. "It has been very hard for him to adjust, because wherever he goes, people say 'Sanju, Sanju'. But now people have realised he doesn't have any hang-ups. There is a big difference between a Sreesanth and a Sanju. Kerala people are very happy seeing Sanju after what they saw with Sreesanth. Gives him almost a halo." Sreesanth, though, made an important contribution to Sanju's rise. In January 2013, Sanju was without an IPL franchise, after Knight Riders released him without giving him a first-team chance. Sreesanth took him for a trial at Royals. "Suddenly I found myself batting in front of Rahul Dravid and Paddy Upton," Sanju says. "I started playing strokes. I just expressed myself." After the second day of the trials, Dravid walked up to him. "He came and directly told me, 'Sanju, you have a very special talent and I would really love to make you play in my Rajasthan Royals team. Would you play for us?' He asked me like this. That question really shocked me." "I never think that I have become a hero of Kerala cricket. I have not changed in the last six or seven years. I am the same Sanju"
Dravid, then Royals' captain, and now part of their management, had little doubt about Sanju's talent. "You could see immediately that he had the game, he had all the shots," Dravid says. "There was also this calmness to him. You could see he wasn't the kind of kid who would get too excited if he did well or too disappointed if he failed. "We made sure we gave him a lot of time at the nets, batting against guys like Shaun Tait. Coming up from junior cricket, U-19s, even Ranji Trophy, you don't face guys like Mitchell Johnson, bowling at 145-150kph. So it was just that small adjustment." Sanju sought out pretty much everyone in the squad, carrying a diary wherever he went to jot down gleanings. "I had a lot of questions in my diary," he says. "I asked the same question to different people. I asked the same question to [Brad] Hodge, same question to Rahul sir, same question to Shane Watson, and the same question to Ajinkya bhai. "In the first team meeting during the IPL, Brad Hodge said that in T20 cricket you should always look for boundaries. If you can't get boundaries then you should look for singles. If you are not able to get singles then you should get out of cricket. It is very true but very funny." Given the value he has added to Royals as a wicketkeeper-batsman Sanju was going to feature in discussions about MS Dhoni's long-term successor, especially after Dhoni's Test retirement late last year. 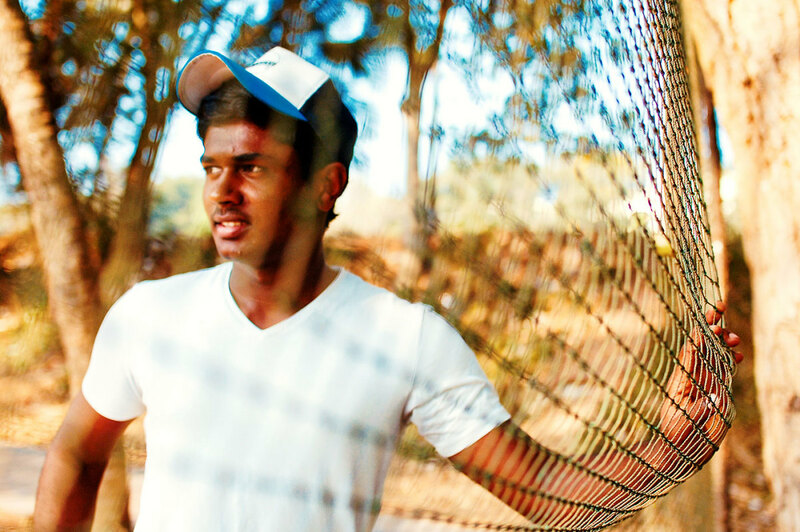 Sanju keeps wicket in the IPL and in limited-overs matches for Kerala, but while he began his first-class career as a wicketkeeper, his role in the Ranji side is now mostly restricted to batting. Dravid suggests there is a good reason for this. "He is a very good keeper, and I'm sure he can be a regular keeper in one-day and T20 cricket. Four-day cricket, I guess you wouldn't want to lose his batting, because it can take a lot out of you, keeping for a day and a half, two days." Sanju kept wicket in only one Ranji match this season and felt his concentration slipping. "You can say I was not fully there," he says. "I was there for 40 to 50 runs, then when I was batting on 60 or 70 I lost a bit of focus or a bit of full fitness. But if I get used to it, I think I can easily manage. Long term it depends on the team. If they want me to keep I will keep. Whatever my team demands I have to do it." Sanju has only recently learned to drive, but there is a calm assurance to the way his SUV glides over National Highway 47. It is like his batting against Services minus the initial spurts of over-exuberance. Signposts along the highway point down bylanes that lead to beach resorts, and I ask if he spent his childhood holidays at any of them. He shakes his head and says he was too busy playing cricket. 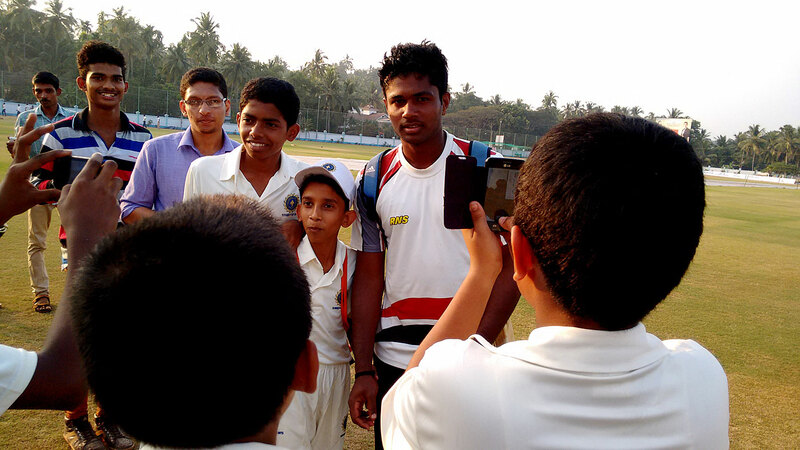 On April 18, 2008, Sanju was in Kottayam, keeping wicket for Trivandrum U-16s as they moved towards an innings win over Alappuzha Under-16s. After the day's play, the Trivandrum players huddled in a hotel room and watched Royal Challengers Bangalore take on Knight Riders in the first ever IPL game. This was new, this was like nothing these boys had seen before. "Obviously," Sanju says, "we all wanted to play this tournament." Jumping out of a crease drawn in Bangalore and into a hotel room TV in Kottayam, Brendon McCullum repeatedly swatted short balls over long-off on his way to a 73-ball 158. It wouldn't be long before Sanju would play the same shot in the IPL, and play it his own way, with an air of stillness. He would do so before he turned 20, before he was picked for India. And he would do so in front of packed houses. It is fair to assume that some talented 13-year-old cricketer, watching at home or in a hotel room, probably growing up in a state with no real cricketing pretensions, has taken note.